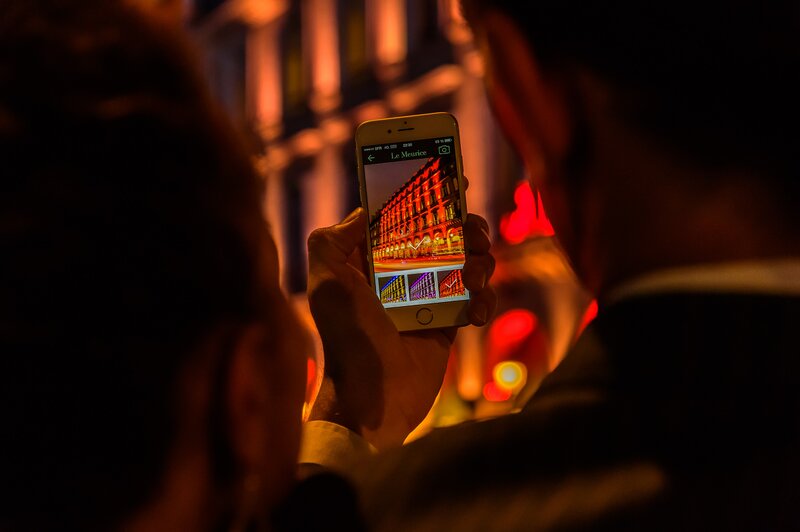 Paris, France - An iconic Paris hotel can now change the color of its famous façade to mark special occasions and events thanks to pioneering lighting technology from Royal Philips (NYSE: PHG, AEX: PHIA), the global leader in lighting. 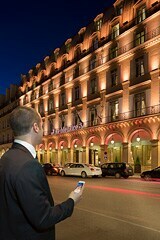 The connected LED lighting system allows hotel staff to change the lighting with a simple swipe of a smartphone app. Hotel management can create an unlimited number of light scenarios to reflect key Parisian events, like the Tour de France and Bastille Day. One of Paris’ most historic hotels, dating back to 1815, Le Meurice now joins the Tour Montparnasse and Notre Dame cathedral as the latest iconic Parisian landmarks to benefit from Philips’ connected LED lighting innovation. 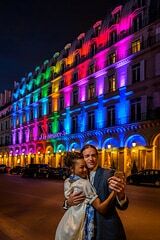 The hotel features Philips’ state of the art connected LED lighting technology that uses miniature light projectors that integrate seamlessly into the hotel’s signature Parisian Haussmann architecture. 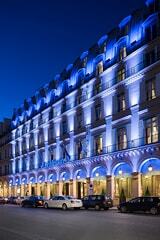 The system uses warm lighting and color to accentuate the building’s iconic beauty. As well as adding glitz and glamour to Le Meurice, the system also brings significant energy savings, consuming less than 1kW of power, and a maintenance-free lifetime of more than 20 years.